Wexford Open Studio Art Trail provides an opportunity to experience, first hand, the creative process at its source and talk directly to the artists about their work in their studios. If you are interested in pottery, paintings, ceramics or sculpture, you are sure to find something of interest or just enjoy the experience of visiting one of these delightful studios. 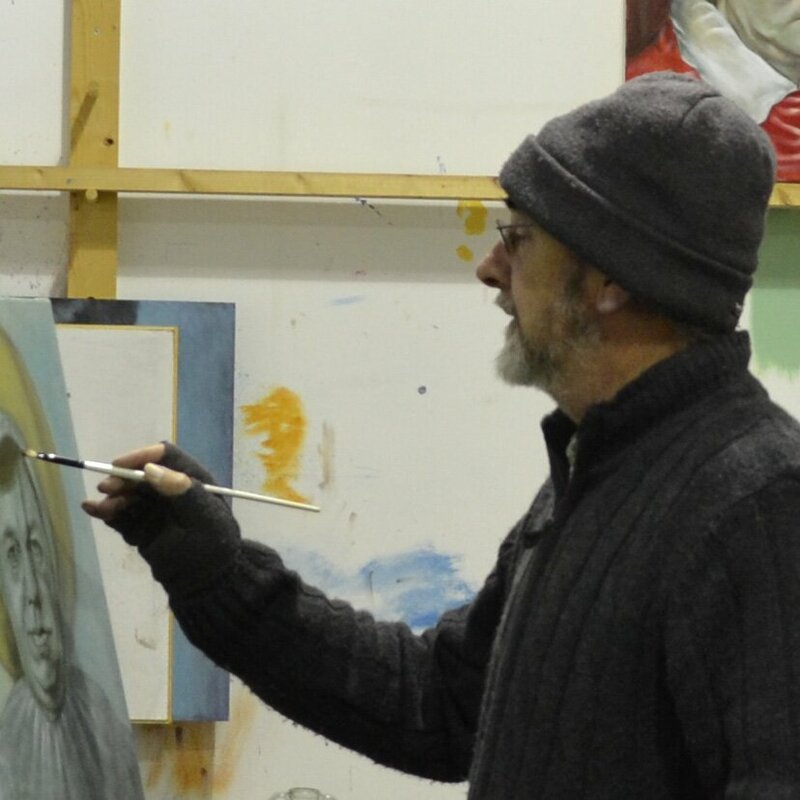 Visitors are welcome to visit the studios throughout the year but please bear in mind that these are working studios and the artists are often involved in preparing for exhibitions or out painting on location. To avoid dissappointment and to get the most out of your visit it is advisable to telephone or text in the first instance. In addition to opening their studios to the public the artists featured here exhibit their work at various events throughout the year from art societies and festivals to educational projects. They are involved in both one-man and mixed exhibitions with galleries and are called upon to give talks and demonstrations of their work. Some conduct workshops and run courses in their visual art or creative speciality. If you are a member of an art group or other social group and you would like one of these artists to visit and give a talk for a small fee they would be pleased to hear from you. Art is in the making - make the most of it! My work is focused on life, from childhood to old age and everything in between - our dreams, our wishes, our fears. Then we grow up and all we have to do is close our eyes and we are straight back there. This is the emotion I am intent on capturing, I don't wish to dictate through my work, I simply want to express an emotion which can be interpreted differently by everyone. We all have our own story which I believe influences how we see things. Coolteige, Bree, Enniscorthy, Co Wexford. Born in Dublin, I attended NCAD and spent 6 years studying and working in France. 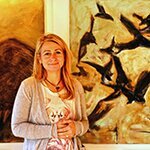 I paint full-time and teach from my studio. I paint out of an essential need. Apart from a sense of fulfillment, I want to communicate a thought or inspiration whether it is the simple joy of reflected light or more complex feelings which stem from a more emotional response. Brimel Cottage, Gardamus Great, Mayglass, Co. Wexford. 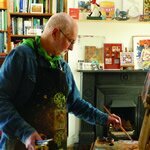 I work in both oil and watercolour over a wide range of subject matter though my main focus is the landscape. My paintings are in the impressionist manner and reflect my love of colour and the play of light. My work has been exhibited widely throughout Europe in both one-man and mixed exhibitions and I am a member of several established Art Societies. 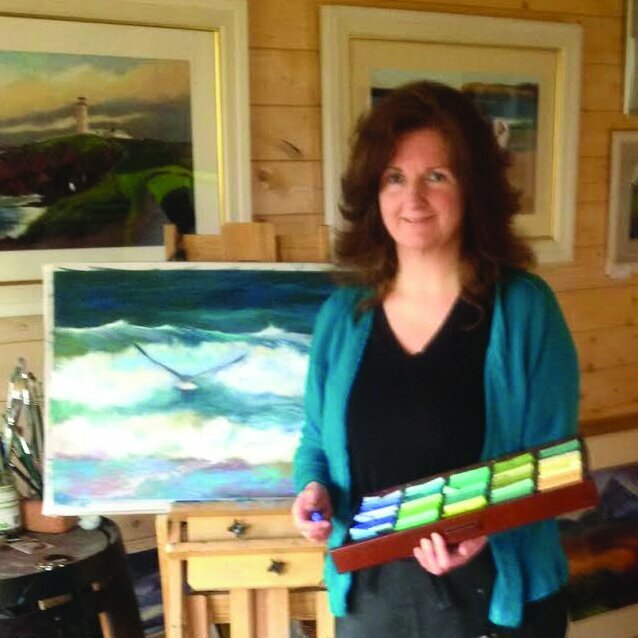 Living all her life by the sea, her studio overlooking Rosslare, Jane draws inspiration from her surroundings and love of being outdoors. Painting en plein air lets me respond to the light, time of day or season. I react to the elements, my mood and situations in life allowing them to flow naturally resulting in an honest interpretation of the scene before me. Dublin born Eithne Ryan has been a working artist for over twenty years and although having studied briefly at the National College of Art in Dublin, she considers herself self taught. 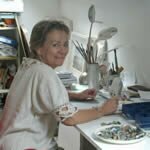 Working from her studio by the sea at Cahore for thirty years has had a major influence on her paintings. She has had many solo shows in Ireland and abroad and her work is in many public and private collections. Capturing silhouettes against the sky Mairead looks into the light and follows the movement, allows the colour to play on the surface detail and she frames a moment of time and beauty, in clay. Windswept beaches with wildflowers and solitary trees, or structures created by communities with white-washed walls and an inviting door or a gathering of goddesses with free flowing gowns and sense of beauty and grace. Happy, hopeful and human works. Ballyelland Pottery, The Old Mill, Castlebridge, Wexford.